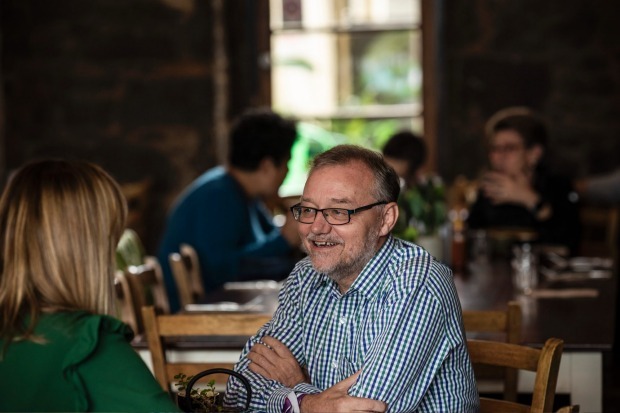 John Lawrence is grinning widely when we meet in a busy Fitzroy café. The high-profile criminal barrister from Darwin is delighted that this long-promised Lunch with the AFR has finally happened. As soon as we start talking, however, the surrounds blur into the background and his grin evaporates as our discussion becomes urgent and distressing. Lawrence is a highly energetic and erudite criminal barrister who was first drawn to the Northern Territory from the day he arrived in Australia from Edinburgh on August 19, 1980, and read the newspaper headline Dingo snatches baby at Ayers Rock. He's done more murder trials than "you've had breakfasts", he tells me. But the former president of both the NT Bar Association and the Criminal Lawyers Association, who was a principal solicitor at The North Australian Aboriginal Justice Agency, is at once furious and despairing. The image of Dylan Voller in a spit hood at the Don Dale Youth Detention Centre that helped trigger the royal commission. His ire is because of the deterioration in the NT legal system despite a royal commission that reported a year ago about how Aboriginal children as young as 10 were and still are being locked up in inhumane conditions and tortured, despite promises from the NT government to improve the system. Riots and a fire, followed by tear gassing of detained youths at Don Dale this month are a reminder of how little has changed. This is a justice system that is neither just nor humane and his profession has failed its primary duty to protect the rights of its charges, he says. Our lunch is a means to an end, he says, to try to expose the disasters up there. "From 1788 to now, it's been the same approach, which has been this 'sightlessness'." There is no justice for Aboriginal people who comprise the bulk of those incarcerated in the NT. On July 26, 2016, the day after Four Corners broadcast its report Australia's Shame, Malcolm Turnbull called a royal commission into the protection and detention of children in the NT. The program featured the Don Dale Youth Detention Centre, and images of Dylan Voller manacled to a seat with his head covered by a spit hood burnt into our memories and ricocheted around the world. Our waiter appears but it feels like an imposition. I order a strong latte. Lawrence is already primed. At the royal commission he represented Jake Roper, a 14-year-old Aboriginal boy who also featured in the Four Corners program. Lawrence wants me to understand in detail the conditions of incarceration. 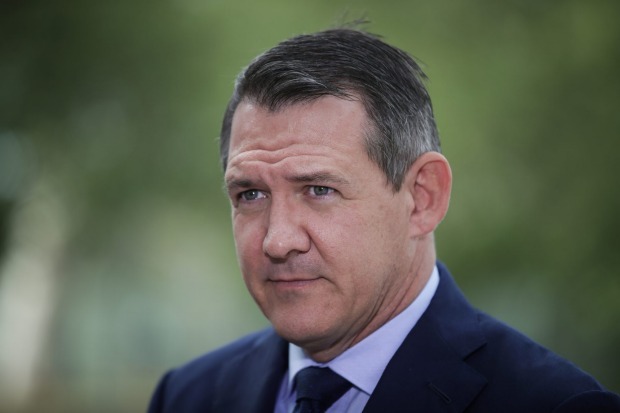 NT Chief Minister Michael Gunner described the latest class action as five years too late, against the wrong government, and has vowed to fight it. Roper was held for 16 days in a windowless cell measuring two metres by three metres, for 23 hours a day. The cell, in the Orwellian sounding Behavioural Management Unit at Don Dale, had only a stainless-steel toilet and a mattress. Roper was let out for one hour a day to shower in open stalls. He escaped when jailers forgot to lock his cell, whereupon he was tear-gassed. Lawrence says despite the government's promises to reform the system, it is operating much as it was before. Worse, the public servants responsible for running this youth detention system have not been held to account. Police investigated and found no wrongdoing. Salli Cohen, who was the executive director for youth justice, now works for Chief Minister Michael Gunner. The BMU at Don Dale was used to hold children in isolation for long periods in what Lawrence describes as cruel and medieval conditions. The Royal Commission found that there were no procedures in place to put into operation the rights and obligations of those in youth detention, and Ms Cohen was partly responsible for this. "Not only was she directly responsible for running it, but under cross-examination she admitted she knew about the specifics of those horrendous conditions that the children were being kept in, in the BMU," he says. In December 2016, law firm Maurice Blackburn filed a class action on behalf of young people mistreated in youth detention centres in the NT. Under pressure about its inaction, NT Legal Aid in August filed class actions against the NT government for breaches of human rights. These are slogging their way through the legal system. Chief Minister Gunner described the latest class action as five years too late, against the wrong government, and has vowed to fight it. Lawrence says he has become persona non-grata in NT establishment circles because of his agitation: "It's a complete village and it's tighter than it's ever been. Needless to say, everyone is a 'good bloke'." We order quickly, choosing from the breakfast menu, not even realising the lunch menu is over the page. I opt for spicy scrambled eggs. The previous day's heat and unusual humidity has been replaced, in classic Melbourne style, with a 20-degree drop in temperature and driving rain. I need comfort food. The discussion is gruelling. Lawrence takes pan-fried flat mushrooms with spinach and goat's cheese. I fancy he may like a beer or even a bloody mary. I certainly would. But Lawrence opts for ginger beer, so I take the cue and order mineral water. 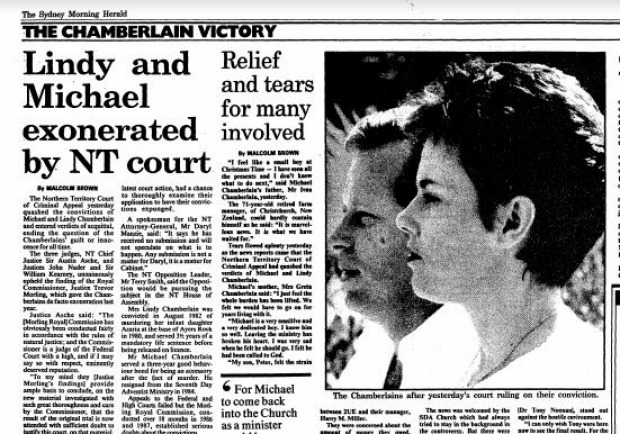 Lawrence did his articles under Ian Barker QC when he joined the NT Crown legal team working on the NT royal commission into the wrongful conviction of Lindy Chamberlain for the murder of her baby daughter. Lawrence was brought up in the same Edinburgh council estate, Granton, as Irvine Welsh, the author of Trainspotting. His father was a shipwright who worked two jobs (the second reading bingo numbers at night) to pay for his sons to attend the city's most prestigious academy, George Heriot's School, founded 1628. It was also the inspiration for Hogwarts in J.K. Rowling's Harry Potter series. When he arrived in Sydney he was drawn to the NT. As well as his Scots law degree he had to read for another bachelor of law degree at The University of Melbourne. He did his articles under Ian Barker QC when he joined the NT Crown legal team working on the NT royal commission into the wrongful conviction of Lindy Chamberlain for the murder of her baby daughter. The conviction was quashed when a matinee jacket was found that backed up Chamberlain's claim that a dingo had snatched the child. We return to Roper's cell with just a mattress and toilet in it. "When he defecates he can't wash his hands," says Lawrence. "There's no basin. Then he gets his sandwich for his lunch, or his cereal for his breakfast, or his hot meal for his dinner and he can't wash his hands." "Another political reason, and it's still happening, is Aboriginal Legal Aid, the Criminal Lawyer's Association and the NT Legal Aid Commission were all in a relationship with the Department of Corrections," says John Lawrence. 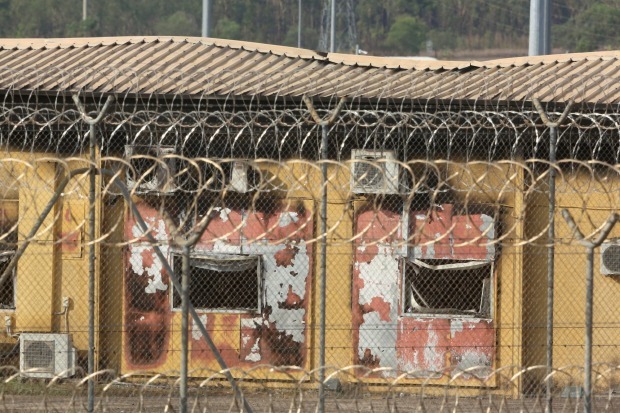 Different lawyers had represented him, but none had objected to the detention conditions. What should they have done? The lawyers should have visited and asked about the conditions of detention, Lawrence says, and even if he did not talk much, because, as many lawyers claim, Aboriginal children are shy and quiet, this is no defence. "I would have gone back to my office and confirmed it all. I could do various things and I may do them all. One: take out a writ of Habeas Corpus; it's 700 years old and it still works." This requests the court to order the prison official to bring a prisoner to court to determine whether the detention is lawful. "Meanwhile, I could make a bail application and thus expose the conditions of Jake's detention to the court and the media, as in his actual conditions, why he's being kept in there, and how long he's been in there, and what was the legality of it, if at all. Having done that, the likelihood is the magistrate would say: 'Of course you can have bail. He's not being kept like that. Now that you've told me about it, he can go anywhere he wants.' All of which would be reported by the media." The royal commission showed the youth justice system was not compliant with the requirements of the Youth Justice Act, and breached United Nations human rights conventions and laws protecting children. "Another political reason, and it's still happening, is Aboriginal Legal Aid, the Criminal Lawyer's Association and the NT Legal Aid Commission were all in a relationship with the Department of Corrections," he says. He maintains the royal commission failed Aboriginal children and their families by not investigating that relationship, which is crucial to explaining how this atrocity occurred in Australia. "The definition of 'torture' in the UN Convention Against Torture and other Cruel and Degrading Treatment was committed in Don Dale. You have not only the continually rising imprisonment rate of Aboriginal people but now there are instances of mistreatment and torture in prison." Lawrence throws around the term "hyper-normalisation" to describe contemporary Australia, a term he borrows from Everything Was Forever, Until It Was No More, by Alexei Yurchak to describe the failing Soviet Union. Everyone knew the system was not working, but no one had an alternative vision, so they pretended it was fine. But everything is worse. Twenty-five years ago, 69 per cent of the territory's prison population were Aboriginal. It is now 90 per cent. Ten years ago, 70 per cent of juvenile prisoners were Aboriginal. Now it is 98 per cent. Even though it was immediately discarded by former prime minister Malcolm Turnbull, he believes the Uluru Statement From the Heart released in May last year will eventually be accepted. A referendum, a voice in Parliament and a Makaratta will emerge. "The Makaratta is basically about reconciling after a fight. It's an Aboriginal term, a Yolngu term." He suggests the referendum on the voice in Parliament and the Makaratta is Australia's last chance to forge a proper relationship with Aboriginal Australia. But he doesn't expect middle class, middle-aged, white privileged men, "my world", to act. "They are in the main weak and scared, and/or resigned; they are indifferent. The best prospect I see for the transformational change that's required are women and young Australians." He is working with Olga Havnen, the current CEO of Danila Dilba, a highly respected Aboriginal-controlled health service, to create an alternative facility to house children who otherwise would be sentenced to detention, namely Don Dale. This would be a facility totally independent from the Establishment and which would be Aboriginal-controlled and run; "a place where youths can be detained appropriately and not abused". His other ray of hope is more existential. "Aboriginal people have survived. It's like they invented resilience. In my experience coming from Scotland, Europe, and then spending most of my professional life representing Aboriginal people, I'm suddenly realising, they are going to be here when we're gone. And they are probably going to go, 'What the hell was that? What a joke.'" "The best prospect I see for the transformational change that's required are women and young Australians," John Lawrence says.